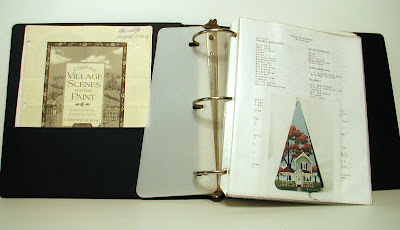 A dear friend of mine recently gave me a large black notebook full of old pattern packets that I designed over several years. She thought that I might like to sell them so I am listing them over the next few days on eBay. You can check them out here. Friday evening my daughter, Amber, was given a wedding shower by a dear friend. This is what I made for their home. I learned to mosaic by purchasing directions from Penny's blog, Lavender Hill Studio. Her directions are very easy to follow. You can click on the photo for a closer view. My daughter and her sweet fiance, Scott, will be getting married on July 11th in Eureka Spring, Arkansas. We are looking forward to this event and I will share some photos of the newly weds soon! I also attended a baby shower for my niece. She and her hubby adopted this sweet little guy, Carter Ashton, and we are so excited to have another sweet angel in our family! Here he is pictured with my daughter. Don't you think she would make a great mother! Hint, hint! Below is a photo of the lovely toes of my niece, Gabby. I asked her who did her nails and she said, "I went to the Toe Place." Kids are so cute! The above toes belong to this little cutie pie. My niece Amy opening one of her many cute baby gifts. Congratulations on the new little one Amy and Ryan! I´m sure you are very proud of your children. Your daughter will be a beautieful bride. I hope she will become very, very happy. And your nice is really a sweet girl. Congratulations on the upcoming wedding. I hope the cooler temps hold for you and your family. They've been wonderful, here at the lake. I love Gabby's toes. She's a cutie! What a lovely family you have Cathie! I love your mosaic you made for your daughter and future SIL! You did a great job! Congrats on the upcoming wedding of your beautiful daughter and the sweet adoption of your niece! Your house numbers plaque turned out great!! Thanks for the mention. I had someone come by and purchase an ebook and mentioned your blog. You are the sweetest!! You have a such a lovely family, Cathie. Congrats on the upcoming wedding! I love the mosaic piece you did. Ahhhh, the family is growing and shifting and changing and it's all good. Eureka Springs, Arkansas? I remember that beautiful, quaint little town so well. I spent a lovely weekend there once many years ago. Such a sweet memory. Love the house number and will look forward to wedding pics. Looks like great fun. Everyone is as cute as you are. Your mosaic turned out great! I also attend a baby shower last Saturday for my niece, I love babies. Your beautiful daughters wedding is the same day as my oldest daughters birthday she will be 32. I will be thinking of you on the 11th of July and wishing you all the joy of being Mother of the Bride.